Not everyone has a wide and spacious backyard, so those with narrow yard spaces may have difficulty finding a pool that fits. Round pools can be awkward for rectangular areas, so many look for oval shaped pools for more space to swim. 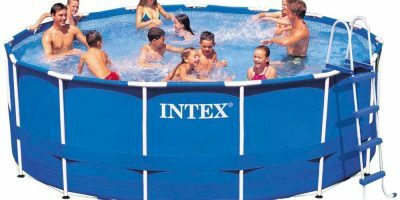 A popular choice is the Intex Oval Frame Pool Set, which is essentially combined with the strength of a metal frame pool and the flexibility of an Easy Set pool along with being designed to suit yards with limited space. This 18-feet by 10-feet by 42-inch oval-shaped pool is supported by rust-proof coated frames which can be assembled with nifty snap-on joints, although to make it easier, some users suggest using some kind of lubricant to make sure the poles slip into the joints smoother. 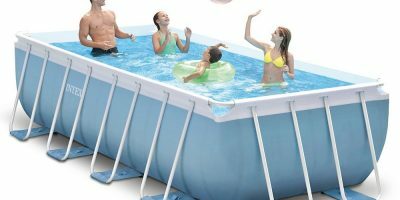 It’s as flexible as an Easy Set pool considering the whole thing isn’t framed, and it’s also as sturdy and strong as a metal frame pool with its sidewalls being made triple-layered laminated PVC. To prevent any deterioration from the hot sun when not in use, the outside layer is made with a UV inhibitor. 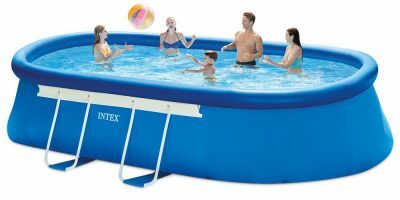 Because of its shape, the Intex Oval Frame pool is an ideal model for practicing swimming laps or even playing leisurely games like volleyball. 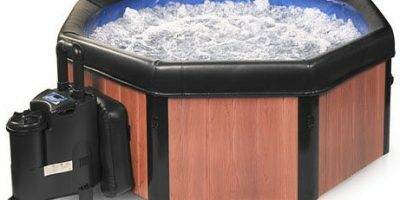 To install it, all you do is make sure you have a leveled area, lay the pool liner on the ground, inflate the top ring and set up the frame, then fill it with water. You can watch the video below to see how a user set up theirs. The set comes with a 120V 1,000 GPH filter pump with a GFCI (ground fault circuit interrupter) and an additional ladder, drop cloth, and pool cover. There’s also a drain plug near the outside bottom of the pool which can easily connect to a garden hose when you want to dissemble the pool and drain the water away from the swimming area. 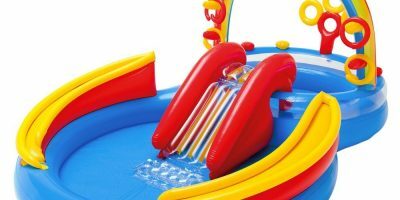 The pool is available in the following sizes: 18ft x 10ft x 42in (this review) and 20ft x 12ft x 48in. Prices range from roughly $300 to about $400. 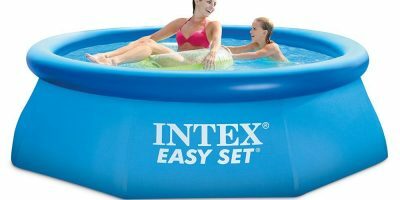 For a pool that accommodates narrow yard spaces, the Intex Oval Frame Pool Set is designed to fit without taking up too much of your yard area. 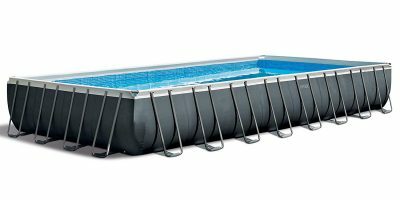 It provides the value and flexibility of an Easy Set pool while it has the durability and stability of a Metal Frame Pool. Setup is frustration-free and this pool can last through several summers with its triple-layered laminated PVC material.